Radio Shows | Community Options, Inc. Various radio shows that employees of Community Options, Inc. have been featured on. 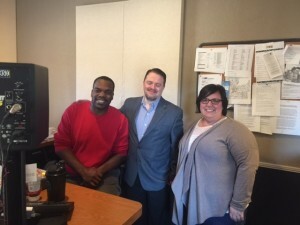 Westmoreland Community Connections – Community Options, Inc.
Westmoreland Community Connections is a public affairs program of WHJB FM 107.1, featuring Chad Amond, President and CEO of the Westmoreland County Chamber of Commerce. On the July 1 show, host Chad Amond talked with Lacie Parker, Executive Director Community Options, Inc. (Westmoreland/Armstrong/Indiana Counties), about Lacie’s background and the mission and involvement of Community Options in Westmoreland and surrounding counties. Rick Nolan on 94.3 WKYX in Paducah, KY discussing the 2017 Cupid’s Chase. Rick Nolan with AJ and Courtney from Electric 96.9. AJ has been a huge supporter of Community Options!!! 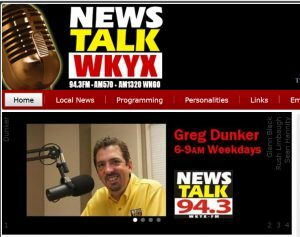 Rick Nolan was on WKYX News Radio, Electric 96.9, Willie 102.1, and 94.7 the mix radio stations which are owned by Bristol Broadcasting Company and are local Paducah stations. Svet Repic-Qira of Community Options talked about autism serves. January 22, 2014 | 94.7 WGSQ, The Country Giant. Brad speaks to Robert Stack, founder and president of Community Options of Princeton, New Jersey….a non profit organization that provides housing and employment opportunities for people with disabilities.